45. That’s how many days Virginia’s lawmakers will meet to pass or reject legislation in 2019. 140. That’s how many lawmakers decide which legislation is worthy of approval. 1501. That’s how many new bills introduced as of January 8th, 2019. This number does not include legislation that was carried over from last year, and there is more legislation to come. If these numbers intimidate you then you’re not alone. Whether you’re a lobbyist, community organizer, or just a concerned citizen, keeping up with the “what” and “who” of governmental affairs is crucial to effective advocacy. State legislation is especially challenging given the shear volume of bills that come through in such a short amount of time but don’t let this discourage you. There are a variety of free, online tools and resources that make staying informed easy. No one has time to filter through every news outlet and locate all Virginia relevant stories. That’s a job for the Virginia Public Access Project! VPAP sends out a daily email with news articles soley pertaining to Virginia. The content covers federal, state, and local news and breaks them down by topic. Best of all, it’s free. The Virginia Legislative Information System (LIS). LIS is the main resource used by everyone following the General Assembly Session. It displays the history of current and past legislation, up-to-date meeting and press conference schedules, and committee agendas and dockets (list of bills up for review by a given committee). LIS is also a useful resource to discover how a legislator previously voted on issues you care about. LIS updates the status of every piece legislation faster than anywhere else. So check it frequently when following a particular bill. LIS is the most popular tool for lobbyists to monitor legislation, but many find the resource difficult to navigate. Richmond Sunlight is a nonpartisan, volunteer-run bill tracker that helps you find legislation by topic. This online tool also allows visitors to post public comments about specific bills. The aforementioned Virginia Public Access Project also has a bill tracker that allows you to search legislation by bill number or category, with a number of other additional filters available. Watch live webcasts of Committee Meetings and Floor Sessions. Ever wonder what lawmaking would look like if it were a reality tv show? Well, until CBS produces “Big Brother: Governance Edition”, the closest thing we have is a free live stream service. Everyone with internet access can keep a watchful eye on General Assembly deliberations in real time. The live stream service provides video for floor sessions and full committee hearings for both chambers. Unfortunately, sub-committees are not included. You can access the live stream below, but we suggest bookmarking the sites since the link address is impossible to remember. Staying informed on state politics is a challenge, but it’s worth the effort. The government should not operate without knowing that we are paying attention. Keeping up with current events is key to holding our leaders accountable. It’s also a great way to be the best, or most annoying, conversationalist at a cocktail party. Tim Cywinski is the Director of Engagement at Virginia21. 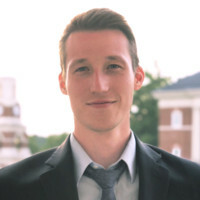 He is responsible for coordinating action among all Virginia21 leaders, managing the organization's program, building relationships with other like-minded organizations and the press, and creating civic-education content. In addition to serving on the civic engagement committee for the Urban League of Greater Richmond Young Professionals, Tim presents trainings on advocacy, strategic communications, and lobbying to various audiences around the Commonwealth. Tim earned a bachelor’s in Political Science from Roanoke College, and he now resides in Richmond, VA. In his free time, Tim enjoys playing kickball, writing, and forcing friends to attend his karaoke “concerts”. He can be contacted at Tim@virginia21.org. Older Post2018 Midterm Election Analysis: Young Voting is Way Up!